Christina Peterson is always equipped with a notebook. She’s constantly on the lookout for inspiration, and when it hits — whether it’s from a passing billboard or a passerby’s tattoos — she’s prepared to catch it, etching every idea in a notebook that she carries at all times. In 2009, inspiration hit. She began jotting down designs for an artistic hobby that, with plenty of work and a little bit of luck, would strike sterling silver. FashionJunkie4Life is an online store whose story begins with a blog. After getting married on 7/7/7 and securing an Art degree, Christina, founder of FashionJunkie4Life, first entered the online space by picking up different artistic hobbies and blogging about her experiences. 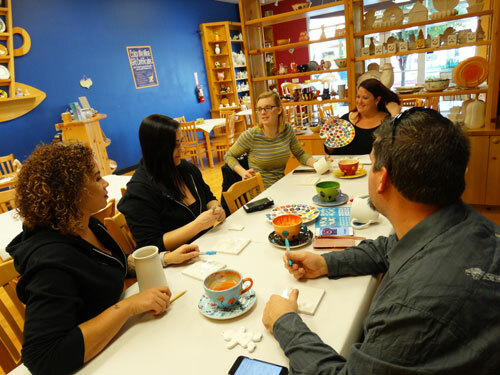 From manufacturing soap to crocheting gloves and crafting pendants, every artsy avenue was an opportunity to create a post describing her experience and the final outcome. But then came jewelry. After dabbling with sterling silver — creating and crafting designs that she constantly etched in her notebook — she took a shine to the creative process. Designs that began as concepts in her head developed into flat, two-dimensional sketches, and finally into fully-realized, beautiful creations that were her own. And as her design ideas came to life in jewelry, so too did her idea for an online business. Capitalizing on the jewelry skills she honed by blogging, Christina decided to venture into ecommerce, first choosing to sell her products on Etsy, a marketplace centered around selling homemade goods. When it prompted her for a username, she quickly plugged in FashionJunkie4Life, looking to sell sterling silver jewelry as soon as possible. While the silver-tongued jewelry salesman suckers mall wanderers with the buzzwords “pretty” and “beautiful,” FashionJunkie4Life’s product portfolio can be summed up in one word: describable. Forged with high-quality sterling silver, their jewelry is as diverse as it is unique. Items are as standard as a modest set of earrings, as off-the-wall as a moose-in-a-bathtub charm, and as elegant as an angel-winged locket. And their product catalog is wide-ranging. From anklets to necklaces and cufflinks, every article of jewelry one could wear is covered — in sterling silver, no less. 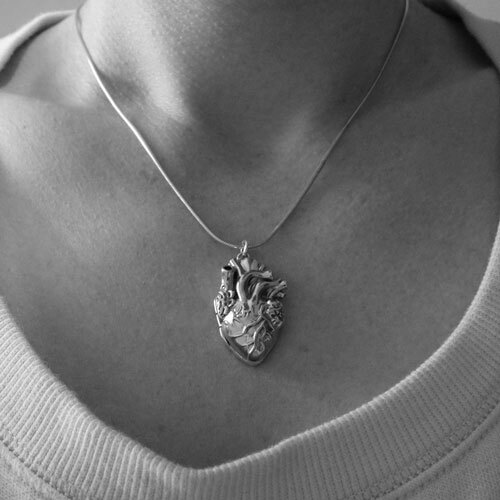 One-of-a-kind products are the true heart of FashionJunkie4Life’s brand, evidenced by their best-selling, anatomically-correct heart pendant. It’s their describability that makes them both unique and memorable (they even have a brain charm), and they’re beginning to broaden their assortment of alloys by moving into solid gold and stainless steel. That isn’t to say that “pretty” and “beautiful” don’t adequately describe their products; they do. But for FashionJunkie4Life, jewelry is at its most beautiful when it’s personal. Jewelry is at its most beautiful when it’s personal. As ecommerce continues its relentless boon, competition continues to fiercen. Although FashionJunkie4Life is constantly positioning its brand on a variety of established and upcoming platforms to get an edge in brand awareness, perhaps their greatest differentiator is one determined by the customer. The holiday season in 2015 proved extremely successful for e-retailers, FashionJunkie4Life included. Finding themselves sitting on a stockpile of extra cash, Christina and Ryan, her husband, funneled it back into the business by lasering in on a new business venture: a laser capable of customizing jewelry through engraving. After six months of preparation, the personalization of select sterling silver products was a go. Customers submitted requests as simple as initials or as complex as fingerprints, and FashionJunkie4Life seared them into the jewelry. Since launch, it’s been a major sterling silver mine. 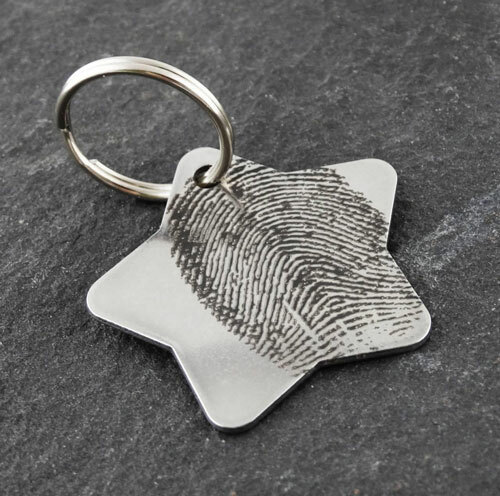 And it’s that customization which elevates a piece of jewelry from attractive object to memento with emotional significance; a parent can personalize a pendant with their child’s drawing; an EKG can be etched on a necklace dangling next to one’s own heartbeat; the coordinates of a special location can be emblazoned on a ring, forever marking the place and moment. By personalizing, FashionJunkie4Life creates jewelry that contains personal meaning for the customer, making the product completely their own. Price might reflect the value of an expensive piece of jewelry, but one that’s personalized is truly invaluable. Price might reflect the value of an expensive piece of jewelry, but one that’s personalized is truly invaluable. Selling online is no silver-spoon affair; some serious elbow grease is needed if an e-retailer is to grow. FashionJunkie4Life’s approach is straightforward: divide and organically conquer. With Etsy as their launchpad, they hopped onto eBay, Amazon, and Bigcommerce, leveraging sales channels to expand their reach and introduce their products to as many consumers as possible. Up to this point, it’s worked — they ended their first year with more than 500 items forged and many thousand fulfilled, and growth over the past several years has been remarkably steady with a minimum of 200% year-over-year. Featured in Cosmopolitan, Sky Mall, and Fancy, the brand has had its fair share of exposure. But even its brand recognition has been organic and gradual. No paid advertising, no press pitching. Close attention to keywords, word-of-mouth marketing, and a product worth wearing remain the primary drivers of FashionJunkie4Life’s outreach. But running an online store on multiple channels can easily lead to an escalation in the everyday grind, and FashionJunkie4Life found itself sinking a substantial amount of time into managing channels. Keeping tabs on orders and making sure inventory quantities were aligned across all channels meant constantly monitoring numbers on spreadsheets and manually adjusting sales channel quantities every single day — it’s operation overload. There was a silver bullet, though. Scouring eBay’s forums in search of an inventory management solution to alleviate their workload, FashionJunkie4Life found Ordoro and gave it a shot. After integrating their portfolio of sales channels, Ordoro proved its worth. Because the app collects orders in one place and automatically syncs inventory throughout every channel, the many spreadsheets could be shredded and manual work was minimized. FashionJunkie4Life now has more time for other functions focused around growing the business, trusting the app to keep everything in order. After integrating their portfolio of sales channels, Ordoro proved its worth. Because the app collects orders in one place and automatically syncs inventory throughout every channel, the many spreadsheets could be shredded and manual work was minimized. And that trust isn’t restricted to the services FashionJunkie4Life uses. Trust, from the get-go, has been a cornerstone of the business affecting every aspect of it. 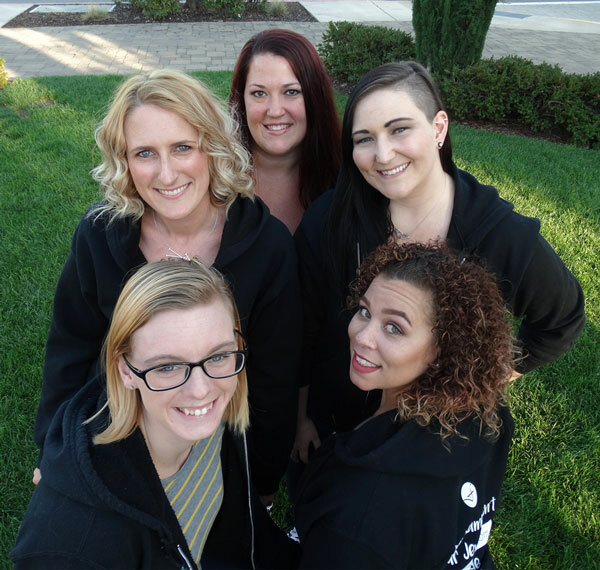 What began as Christina’s own venture into ecommerce has become a family (and friend!) matter that places trust above all else. When she first launched FashionJunkie4Life, it was her personal brand and passion. Now, following years of growth, it belongs to her employees who just so happen to be pretty trustworthy given the many years she’s known them. Ryan, her husband, is her chief advisor (and helps with all the techie stuff); her operations manager is a close friend from school; her sister-in-law runs merchandising; and her family provided the initial funds that got the online store off the ground. Without trust, all brands rust, especially when they’re dealing with sterling silver products. That’s why the word’s importance extends beyond the crew — it’s a crucial element involved in courting online consumers. To foster it, FashionJunkie4Life provides tips on how customers should properly maintain the sheen of their silver jewelry, they’ve launched social surveys where respondents vote on design ideas, and they guarantee free shipping on all orders within a single business day. And over time, their most avid and trusted customers — those that repeatedly purchase and engage — have gained just as much ownership of the brand, pitching design ideas and posting images of their FashionJunkie4Life jewelry. For FashionJunkie4Life, running an online store isn’t solely about selling sterling-silver based products that are a notch above second place. It’s about crafting jewelry with true meaning for the customer. 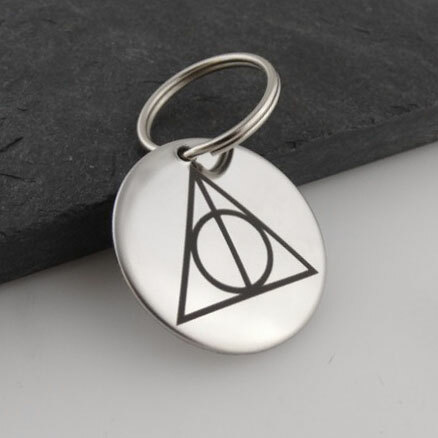 From chainsaw charms to personalized keychains, they’re committed to providing memorable, describable jewelry that impacts their lives for life.